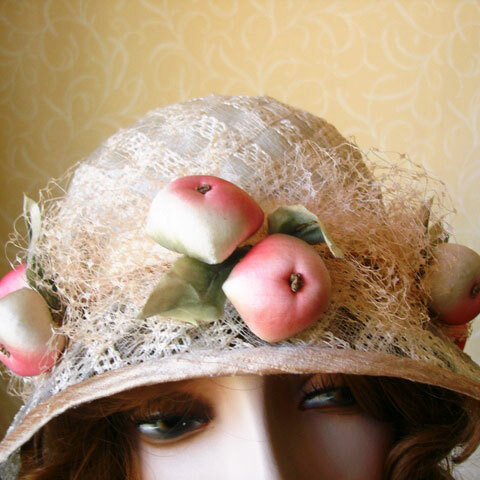 This apple straw hat is light as a feather! Beautiful Italian racello cloche with a wired brim, edged in silk, and the crown is lined, so it’s not see through. 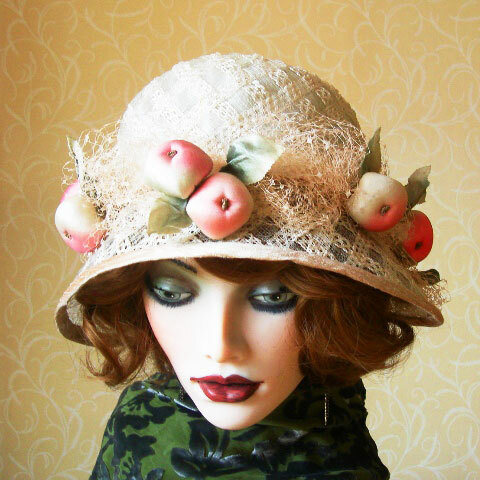 It is embellished with beautiful French antique silk apples and leaves, (a lucky find), and vintage veiling. 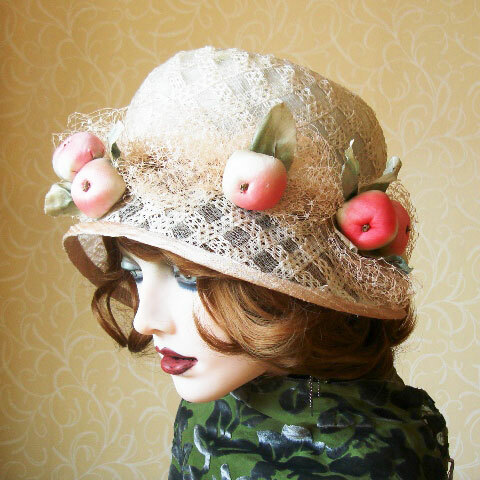 Perfect apple straw hat for a garden party, day at the races, wedding or even a bride. Please note, the apples and leaves are antique and show age in parts. Medium. but please email if unsure.